From the end of Deansgate to the east at its junction with Moor Lane, under Queens Park and to Gilnow Mill. 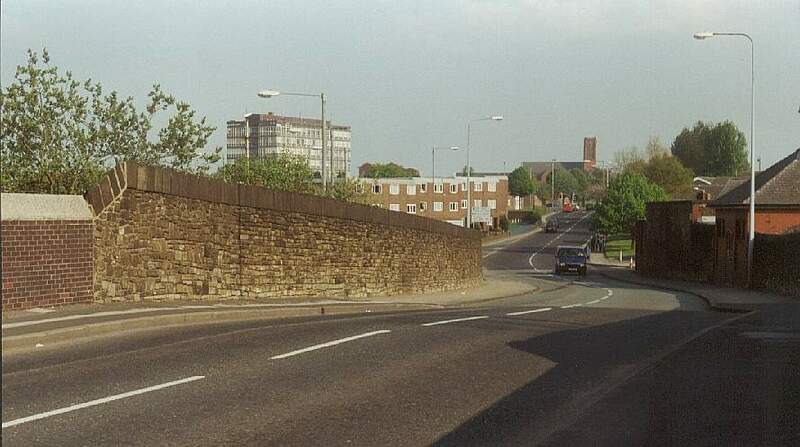 North of here is Gilnow leading to Heaton..
With the Spa Road technology centre on the left looking towards the town centre. Destroyed by fire in the 1980's many Bolton people have fond memories of this roller skating venue. North of here is Chorley New Road and Chorley Old Road junction up Chorley Street. These gasometers are clearly seen in the 1969 film Spring and Port Wine. 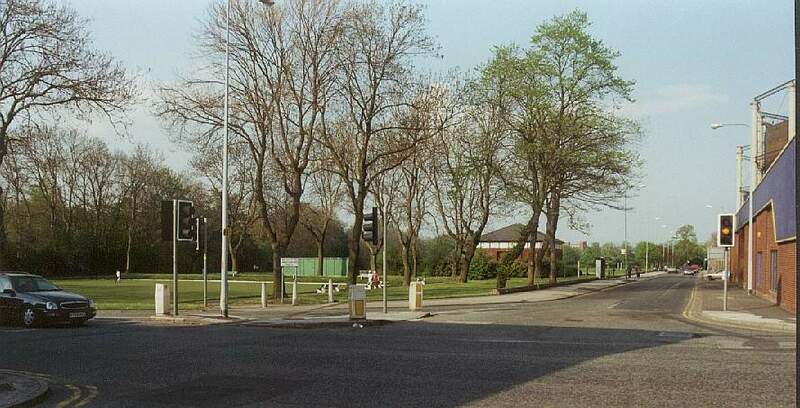 This is Mayor Street leading from the junction of Spa Road and Park Road to the end of College Way. 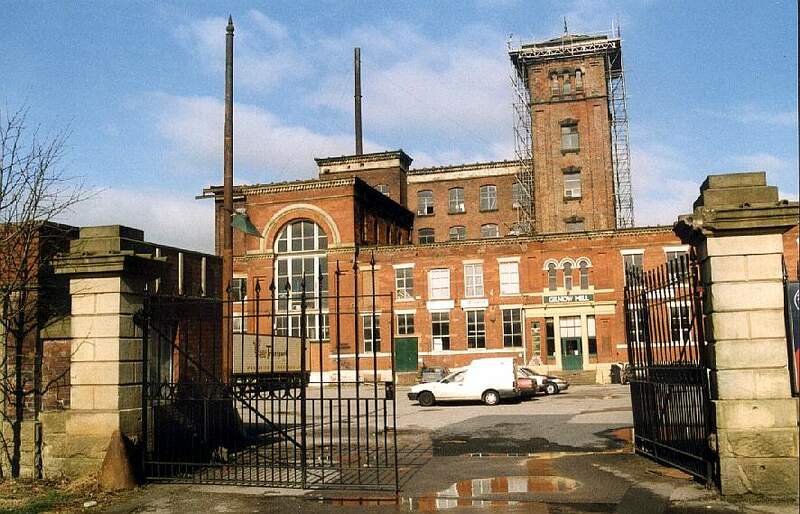 The gasometers can be seen at the far right, to the left is Park Road, and Spa Road crosses behind this picture leading to Gilnow Mill. 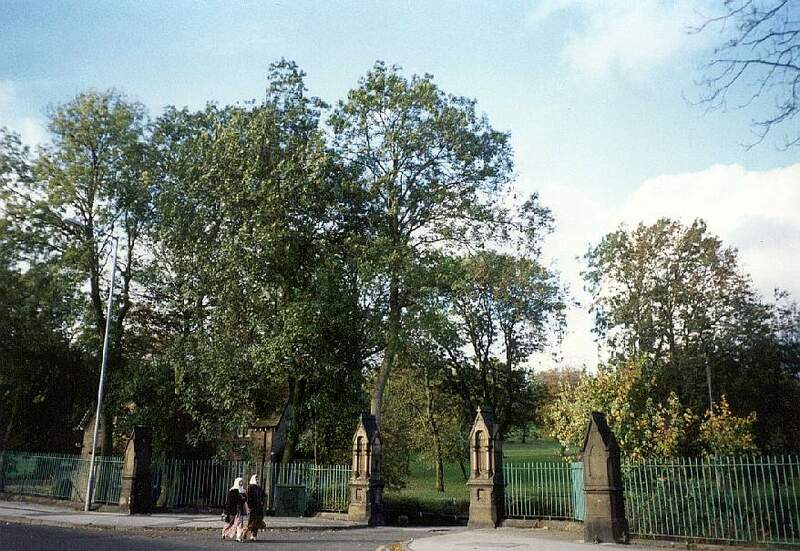 From Spa Road onto Park Road, this takes you into Queens Park.